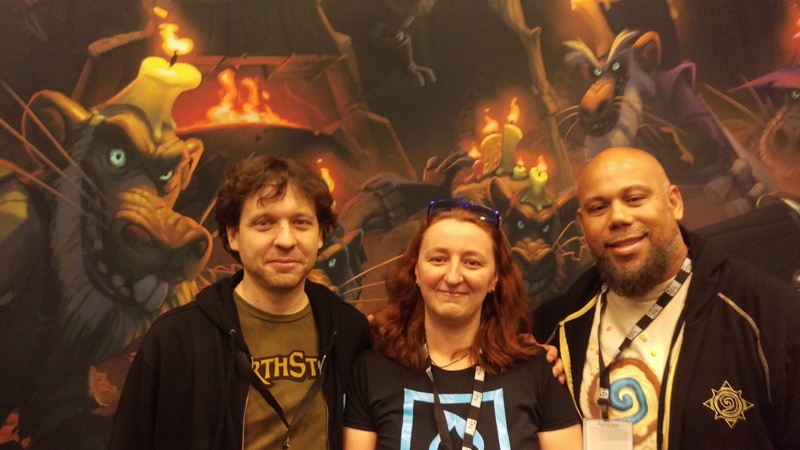 During BlizzCon 2017, together with Mamytwink’s Zecharia, I had a chance of speaking to two developers of Hearthstone – Jomaro Kindred and Mike Donais. We were able to ask a few questions about the process of creating a new expansion and features, as well as about new mechanics that are coming in “Kobolds & Catacombs”. Polish version of this interview can be found at WoWCenter.pl, French – at Hearthstone-decks.com. Enjoy! Mike: You actually start with a really simple, small, 10 card deck. And the rewards will be really powerful cards sometimes that are more powerful than you would have in the collectible set. 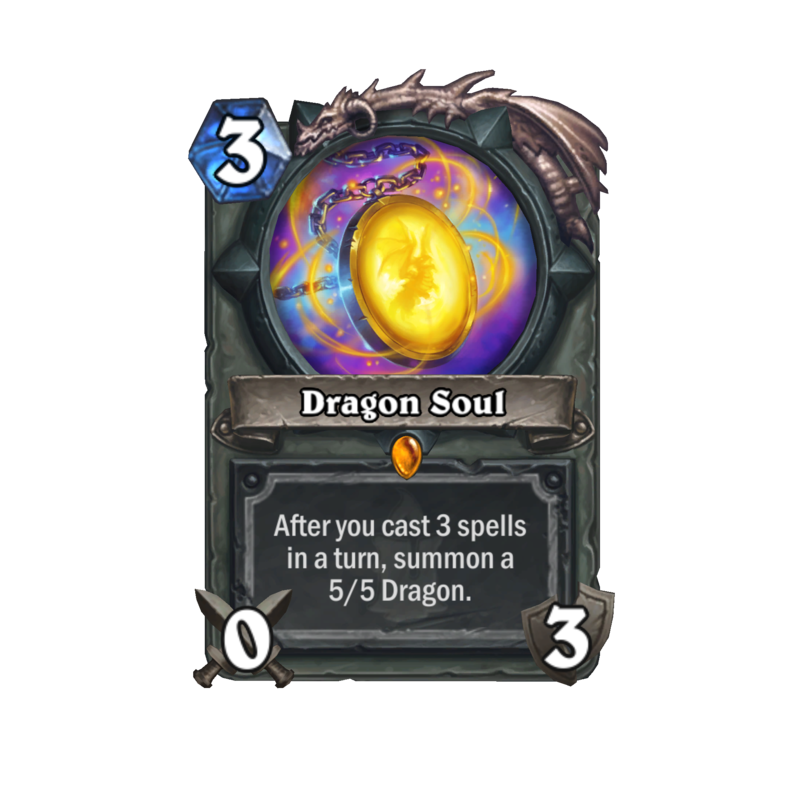 And in addition to that powerful card you also get to put three new cards into your deck. So it gets bigger and it gets a theme. Each of them, they offer you different themes to choose from. And it gets a lot harder once you get the full version, this is only his first three of the eight bosses. But the difficulty curve for each boss is higher and higher. So once you get to like the 8th boss, it’s super challenging. Right. So I’m going to kill this guy so we can see that, it’s easier to understand when you see it. You can see, we just beat him. There’s three treasures to choose from. And it’s just choose a treasure. And these all say the word “passive” on them which means they just happen at the beginning of the game. So “All your minions have +1/+1 for the whole game” or “your hero power costs one and it’s upgraded”. 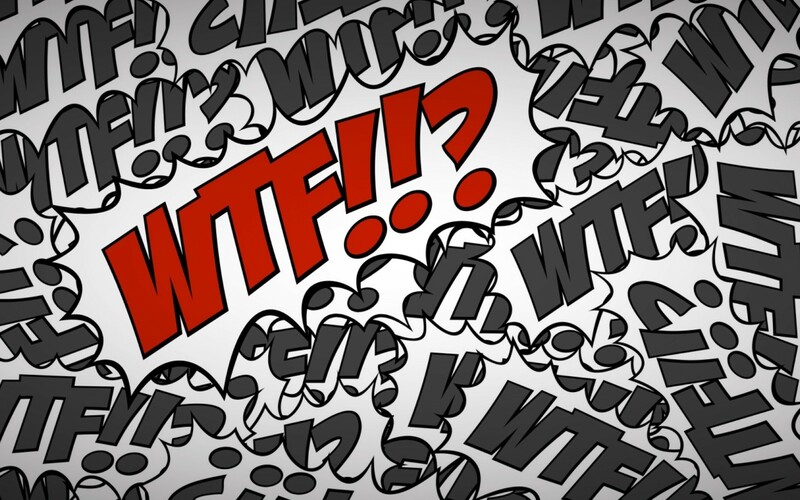 And then “Glyph of Warding” -“enemy minions cost 1 more”. We’ve experimented with passive effects in brawls before too. One of the things that we do is we generally avoid these because it’s hard to keep track of what’s going on if there’s lots of passive effects in constructed but in a dungeon run like this we pop it up at the beginning of the game to remind you the effect is active. And it’s worked out well. Mike: I think you will like it. So my first question would be pretty basic. 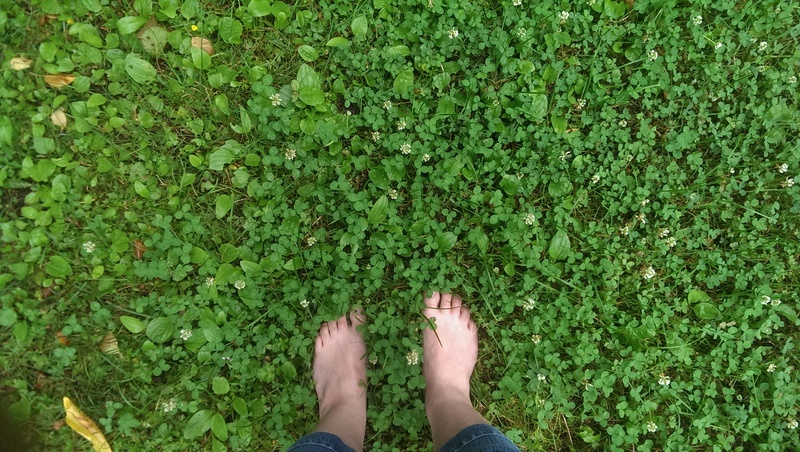 Can you introduce yourself to our community? Mike: My name is Mike Donais. I’m a Game Designer on Hearthstone. Jomaro: Hi, my name is Jomaro Kindred and I’m a Senior Concept Artist on Hearthstone. 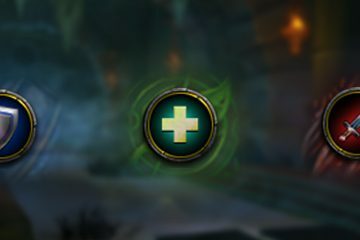 As a Senior Concept Artist, I kinda touch all the visual elements of Hearthstone, it can be a cardback, it can be UI related. 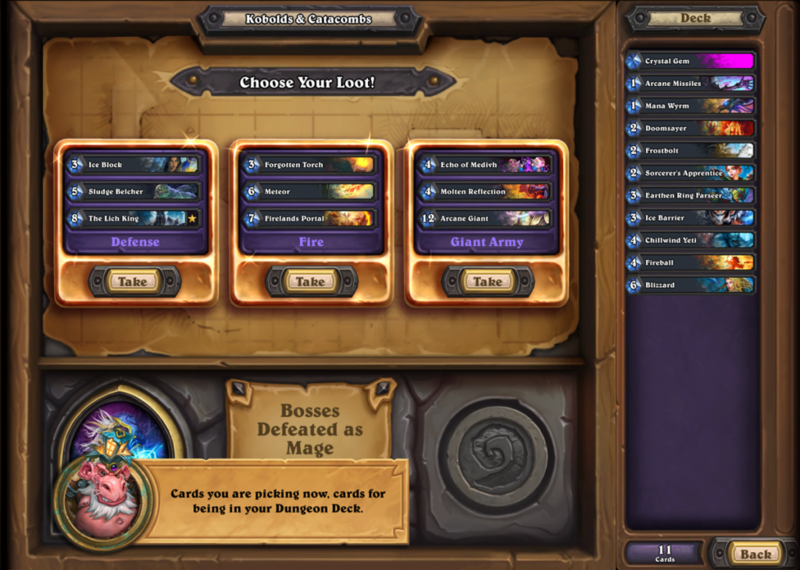 There is a lot of UI that went into new Kobolds & Catacombs, especially Dungeon Run. The boards, so we kinda touch everything. As an artist on Hearthstone, it is amazing because it never gets boring, there’s always something new to draw, paint, create. We create characters, all the characters that you see in Catacombs that we had to pick up or kind of derive from Warcraft and made Hearthstone-y. Early cards were more like the trading cards reinvented and the new ones are much more candy like and they also resonate very well with the community. How do you design and decide on how you go from this? Where do you get the ideas? Jomaro: It depends, it’s really expansion based. Like on Knights of the Frozen Throne, there was a lot of art work that already existed, the Lich King and the whole world of Death Knights, so whatever the direction of expansion is, we take that in and go with it. In Kobolds & Catacombs, there are so many resources that we grew up with. You know all the table talk games and all the fantasy novels and things of that nature. For me personally those ideas started way way back. How it worked for me was – I have an older brother and he would play all the roleplaying games with his friends and he wouldn’t let me play. But what I could do – I would get my hands on those books to try to figure out what was so amazing to me and it was art. Art spoke to me and those little things tend to stick with you your whole life. Here I am now, a grown man, working on Hearthstone and Kobolds & Catacombs and all those influences are presenting themselves again. So those influences come from all directions, from a lot of places. Kobolds & Catacombs look like more Dungeons and Dragons inspired than Warcraft inspired, compared to the Lich King expansion. How did you came to the idea of making this Dungeons and Dragons like expansion? Jomaro: It is interesting you say that because I can think of so many examples of World of Warcraft. I’m an avid Warcraft player. There are just so many dungeons in Kobolds and things like candles, candles are only kobolds. I mean, that’s Warcraft. “You no take my candle!” There’s a lot of inspiration and it comes from a lot of different places. It’s not just one one spot. I can say anything. Mike: I love the kobolds and their candles but I also love like the old school traps and the dungeons and the treasure and the focus on a dragon sitting on a hoard of treasure, it brings up this Tolkien style fantasy for me and all that stuff from all the games I’ve played over my whole life comes together and we deliver it in a Warcraft like fashion. Brighter colors and more awesome, bigger. Everything just feels really good to see. Jomaro: We make it juicy! The new expansion is something that’s really impressive and really interesting. 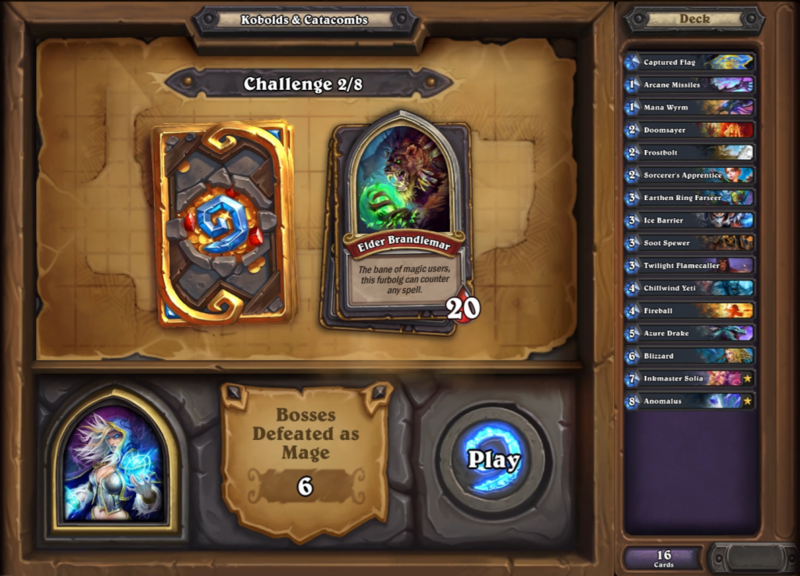 The one feature that I would like to ask about is Dungeon Run. Where did you come with the idea? What was the process of creating it and how did you come up to the final product? Mike: Well I’ve always enjoyed games with a lot of character progression and a lot of character customization. When you play World of Warcraft you get to choose what skills you want to use in your bar and things like that. In Diablo you get to choose a kind of loot you equip and how it affects your character and how it builds your character. And there’s a lot of games I play like that. There’s this really old game called Rogue and it had all those aspects. So we call this a roguelike and that means you’re going to get lots of choices to customize your character and that’s what happens during the run. You choose your loot after every boss, you choose which cards to add to your deck after every boss and you’ll need to own the cards. These cards are just shown to you, like, “you want these ones or these ones?” and you pick the ones you want. And also if you lose, this is a big part of Rogue, if you lose your character’s done and you have to start over. So if you don’t beat all the eight bosses, you start over and maybe you’ll get your deck differently. And that is where the replay ability is. One time I play priest and I have all these resurrect combos and resurrect cards. And the next time I play, maybe I have a priest dragon deck or a priest cocoon deck or something like that. One time I was playing priest and I got three cocoons from my priest cocoon deck and I was like “wow if this goes to turn 10, is it going to go well for me” [laughs]. And then you build the rest of the deck to support it and last until turn ten. About dungeon runs, it looks like you really want something re-playable compared to other adventures or Lich King solo missions. Is it the main focus to have an new game experience, refreshing the game experience and that’s re-playable? Mike: I think the main focus was to just make sure it’s fun. And it just happened to be re-playable because there’s so many decisions that you can make. And that’s a nice bonus. Hearthstone being fun is like something we think about all the time. Like “what’s more fun? What’s more fun?”. When we’re making design decisions we’re like “should this do this or should this do this? What is more fun?” It’s always a big factor in every decision. And the replay value is just a nice bonus because rogue-likes are always re-playable. Do you plan to regularly add new bosses or new stuff to the dungeon runs? Mike: I think the nice thing about this content is every 4 months we’re releasing an expansion. And then if someone joins in like a year they’re going to see the Knights of the Frozen Throne single player campaign and they’re going to see this dungeon run and they’re going to see whatever else the next three expansions also release, so it’s going to be a ton of different content for people. How do you think the RNG aspect of that is going to resonate with the fans. On one hand it’s like “create your own game”. But on the other it’s very random. 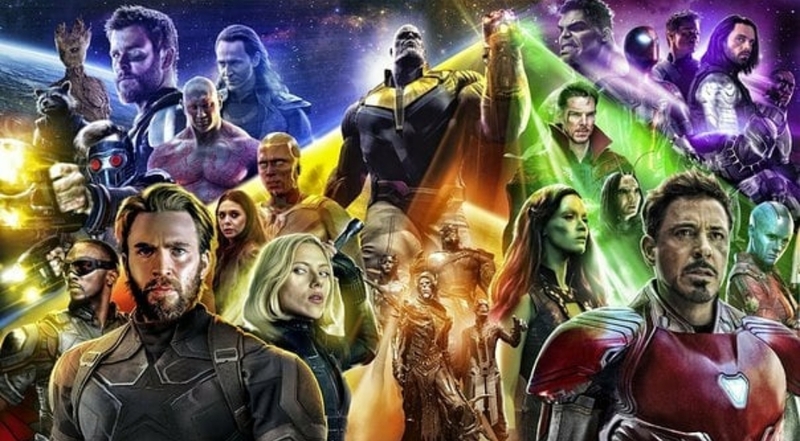 So how do you think fans will react to it? Mike: I think when people are playing Diablo and they get a really good legendary drop, they are super happy. And when you get lucky and fight a really tough pack and another pack joins, you’re like ‘awesome!’ You’re also like “oh this is stressful, it’s crazy!” It’s also very exciting. So there’s a lot of that captured. We tried to capture all that, that kind of thing. And the nice thing is it goes pretty fast because when you’re playing, it’s against the AI. Their turns are like [snaps his fingers] Snappy. “Oh this guy has done his turn already, this is nice!” [laughs] So if you do lose, just play again, this goes pretty fast again. Jomaro: Mike contested on it. The fun is the reward. When you enjoy your experience – that’s the reward. Again, I play a lot of World of Warcraft, getting to play the characters and explore different characters… Being a self-proclaimed altoholic – that’s a lot of fun for me. So hopefully fun is the major reward. Mike: One of the things we talked about is the previous single player content. We’ve given you rewards for playing the single player content. This time we’re going to try giving you rewards right away when you log in. So you get a legendary weapon. 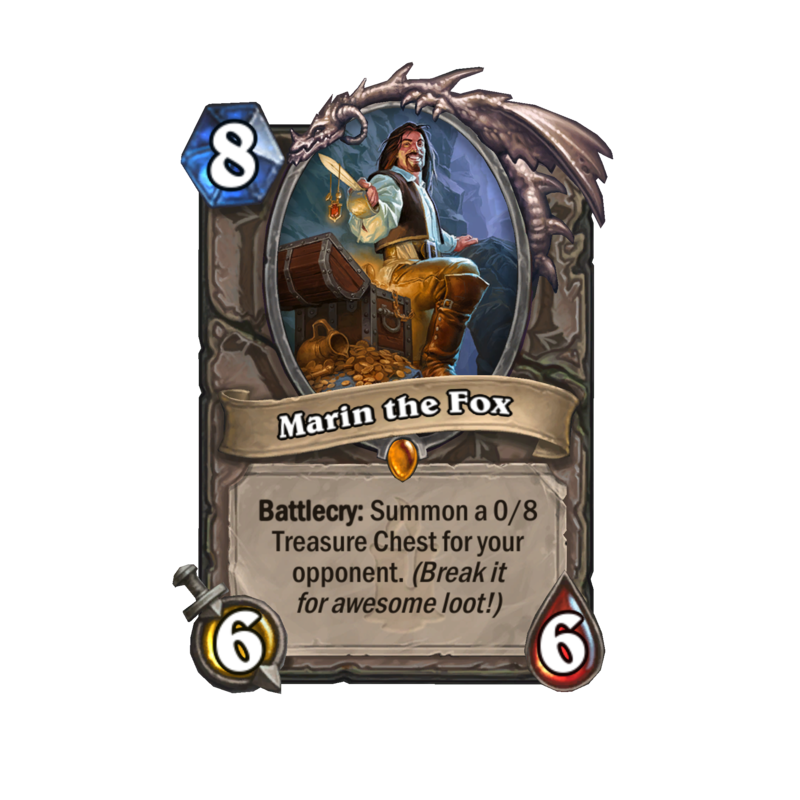 You get Marin the Fox on Monday, we’re giving you some boost packs when you log in and all that is independent from the adventure or the dungeon run. 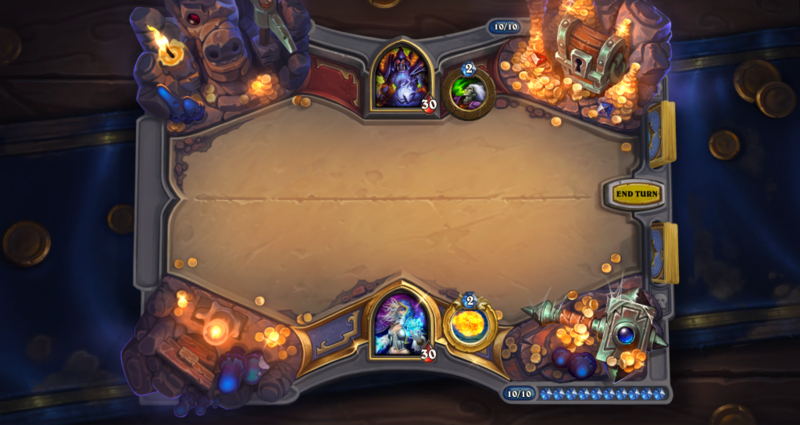 The dungeon run is totally for fun. If you do happen to beat it with all nine classes you do get the lantern cardback. But in general you play for fun and if you don’t enjoy it, you’re not forced to play it because of some reward that you want or not. You mentioned the release of the expansion every four months. Do you plan to stick to this or do you think, as it was mentioned a long time ago, that maybe releasing a pack of f.ex. 30 cards every few weeks would be an idea? Do you plan to address this? Mike: The current plan is to continue with every four months expansion. But one of the sort of core values are Hearthstone is to always be open minded about making changes and experimenting. And that’s how we got to do a Dungeon Run this time instead of just another single player adventure. And I think that’s an important value. So if we do see a good reason for change or some good idea comes out that we want to try out then we will definitely try that. We have a lot of card backs. Have you ever thought about a feature that allows you to pick your favorites and then during each game you get a random card back from your favorites? Mike: I love the idea and I think it’s a great idea. I hope that we can do it soon. We have a lot of things that we’re trying to do. We’ve spent a lot of time making this user experience and all the back end in the Dungeon Runs and of course whenever making the expansion we have to make all those cards too. But either a random card back or a favorite card back would be a great idea. Jomaro: I agree with Mike. I enjoyed doing cardbacks. You just have to look at all of it. I’d want thousands of them if that was up to me but I agree with Mike, absolutely. Speaking also about the community aspect. There are a lot of social aspects changing right now, for example in the battle.net client. Do you expect or plan to do something like this for Heartstone, like “show your favorite deck” or “broadcast your cardbacks” to just show it to your friends? Mike: We recently introduced a feature where you can copy and paste decks. And deck list to make it a lot easier to share with your friends. And battle.net that keeps adding. Battle.net is kind of a separate group from Hearthstone group. They keep adding social features, so you can talk to your friends more easily or use voice chat rooms like that. So I think some people will be like copying their Hearthstone deck, send it to their friends in battle.net using the ‘copy and paste’ feature. And I think maybe in the future we can do more than that but right now we don’t have any plans to. Let’s go back to the expansion, Kobolds & Catacombs, there is a new mechanic, to recruit. 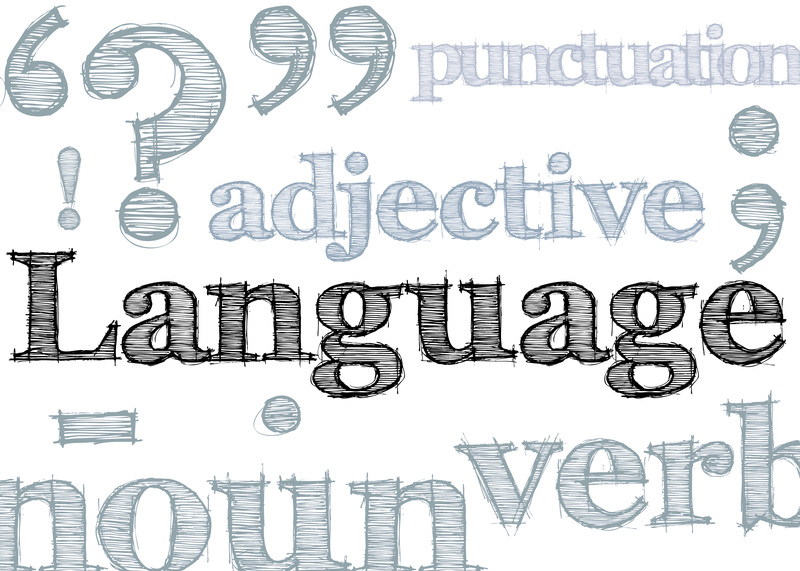 Can you tell us a bit more about this? Mike: Sure. 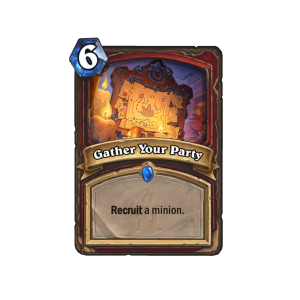 The recruit mechanic is basically “take a minion out of your deck and put it into the battlefield.” And one of the cards you were shown was “Gather your Party” which is a six mana Warrior spell that recruits a minion of any size. And for the recruit spell to take a minion of any size, you really want to make sure you don’t have any small minions in your deck. So that’s the build around there. But you want to have enough big minions so that you never miss. When I have like five or six big Ysera style minions,and maybe the Lich King or something like that. 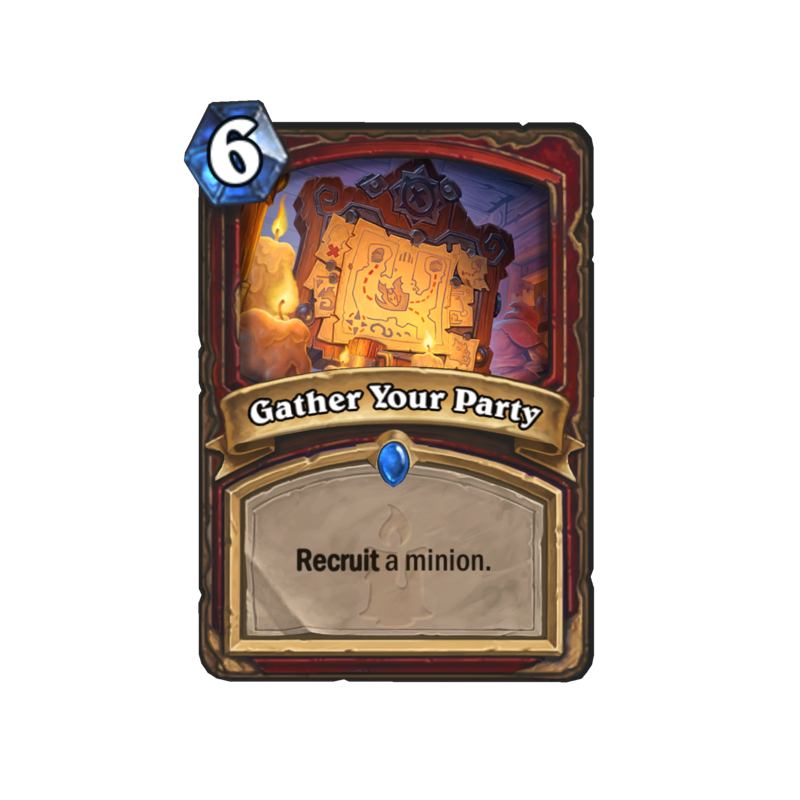 I think it will create a new Warrior control deck type that doesn’t play any cheap minions. At the same time there are other recruit cards we’ve shown. We’ve shown one that gives you a four less cost minion, in that you want to make sure you don’t have any one or two cost minions in your deck and you have to think about what’s the best four cost minion you can have. Some of them have negative battlecries. So Warlock has 5/6 demon that deals 5 damage to you but that’s great forecast for recruit. And Shaman has a form of 7/7. So I think people will be looking at all these combos and try to figure out some tricks to get the advantages. Jomaro: See, for me, I like the lore of that a lot more. That’s all cool but I can bring my friends and pals on adventures with me and that’s what it feels like to me. Oh yeah it in school you know. So it’s very simple but you know some of them do it. Mike: There’s a lot of a lot of stuff that goes into that. It’s sort of a complicated answer. One of the things that we like to do is just brainstorm whole bunch of ideas on board and even if we have like 100 ideas from last time, we kind of wanna start over just in case we have something fresh. And there’s always something that people repeat and we’re like “well that one turns up a lot” and we go there. At the same time we also want to do some art exploration. So design and art get together and we start, Jomaro is really good at it, sketching things really fast to come up with all these crazy ideas. 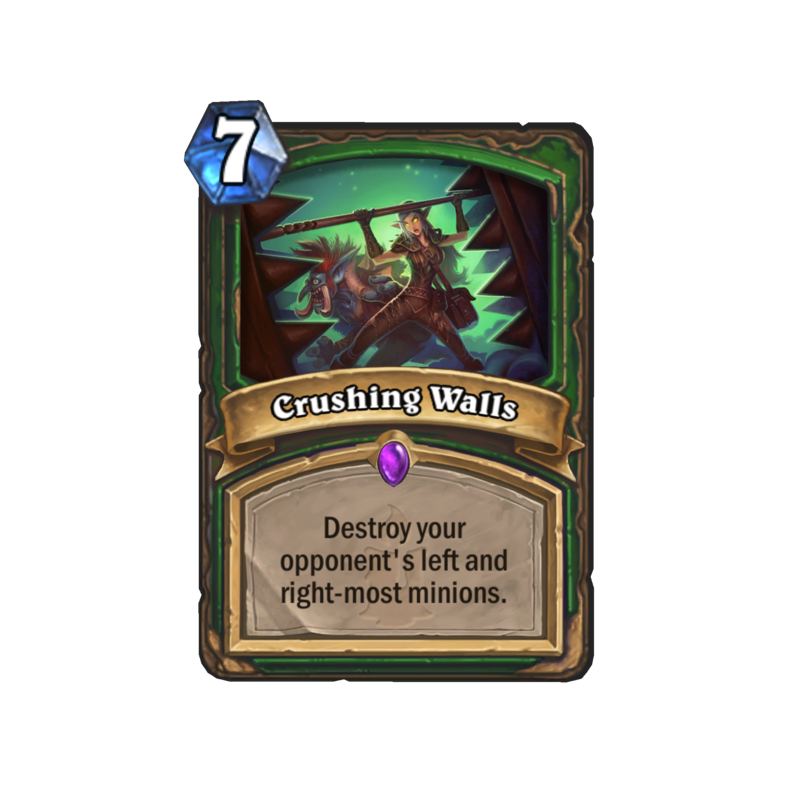 We’re like “ooh, what’s exciting from here.” [Laughs] I love that part and then we see “OK well mechanically what do these ideas support.” Sometimes it’s a really good mechanical flavor like the hero cards produced with the Knights of the Frozen Throne. It was a great fit and great time for us to introduce that type of card and we wanted to do that for a while. So it was a natural, solid choice. Legendary weapons made a lot of sense for these treasure sets so we brought that mechanic and that flavor together. But yeah those are just some of the factors that we bring together. We also don’t like doing two dark sets in a row. I think it’s cool. It’s a very funny game actually. For example my favorite one this One Night in Karazan. I had so much fun just playing that and it’s just so much laughter when you just watch it. It makes you wonder like how do you design it to do just sit and have a beer and have a chat with the whole crew? Mike: We have, you know, casual Friday, when kegs come in [laughs] and the things like that… Everyone is really fun and just sort of very relaxed at work. It’s really nice working environment and that’s one of the reasons I love working a Blizzard. And when we we hire, one of the things we look at is just “are these great people?” Are these people I want to spend my life with because we’re going to spend so many hours talking about games and thinking about games with these people. So it’s a really big value for us. 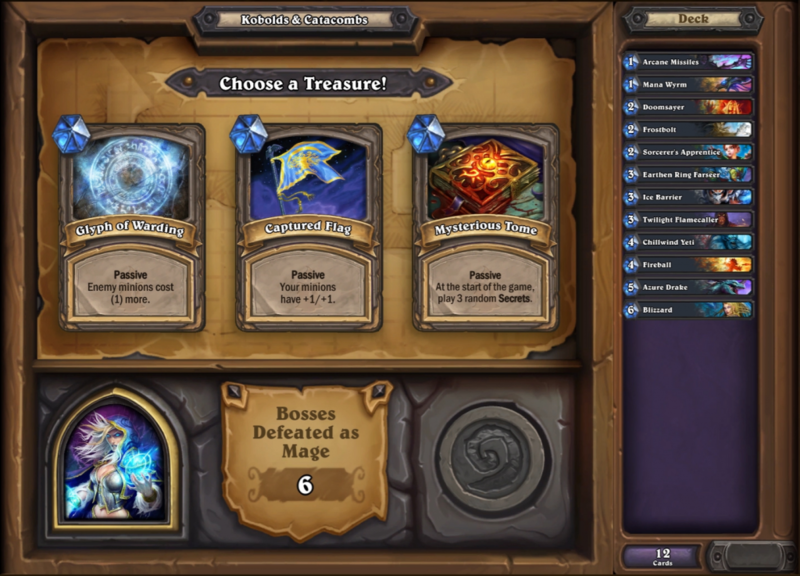 In the upcoming expansion, Kobolds & Catacombs, there is new gameboard. Can you tell us about the process that led you to skin board. Are there some secrets like Un’Goro volcano that was discovered? Is there one? Jomaro: Oh I can’t tell you that [laughs] You have to find them. You have to play it, that’s the joy. Mike: There’s a lot of cool stuff on the game board. The artists did a great job. Jomaro: You can see how treasure was the major influence of this board, there’s gold everywhere, candles everywhere. Just be careful! Mike: One rule! One rule! No taking candle! Jomaro: But yeah, that was a lot of fun, I’m really happy with where it went. Charlene Le Scanff is one of our concept artists and she did a lot of work on the board and her style is so chunky and funny. It feels so vibrant and it makes me want more more gold, more loot. So it just kind of helps to inspire to that. So I really love how the board turned out. And yes, there are tons of secrets. A bit of follow up to this question. One thing that I always do, the very first thing I do when I have a board in front of me I just try to click everything. How do you come up with these ideas, with what is happening on the sides? Jomaro: That’s interesting. We tend to think of some early on but as we develop the board corners some of them develop as we as we do that. Maybe someone else can come over and say “you know what would be a good idea?” It’s actually a team event. Anyone can come in and suggest the clickable and they can get pretty complex like the volcano. 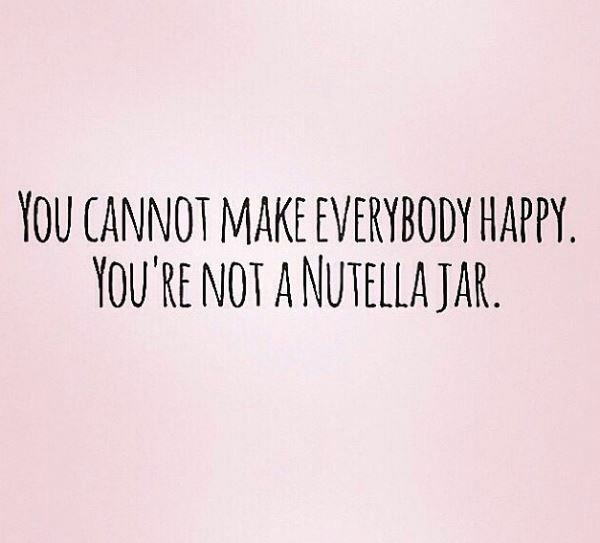 So I think you know it happens in multiple stages of development. It doesn’t come from one specific place. Recently you banned cards out of the arena and today you announced that there will be an event with new cards in the arena which makes me think that the arena and construct will get more and more different. Is it the way you want to go? Mike: I think that we don’t intentionally try to make them different. We just try to do what’s best for each of them. I mean arena is really important to us so if we can make arena more fun for people then we’ll do it – we’ll make it more fun for people. 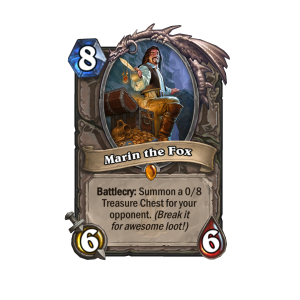 A lot of the times like I said earlier the goal of Hearthstone is to make people happy. Do what’s fun. And in this case we took the card out of the arena because people were not having fun because of that card [laughs]. Like this dual class arena thing. It’s not something we would do in constructed. Maybe one day, it sounds cool. but we’re not planning to. And it’s really fun. So people love it. 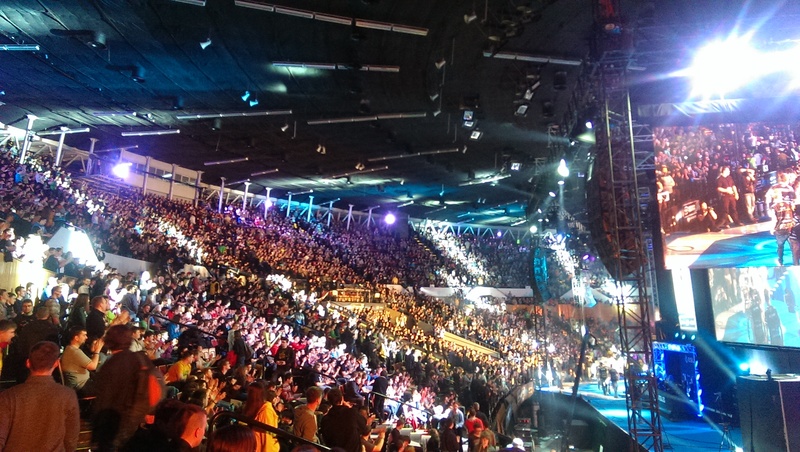 We got a lot of really positive feedback for it and we’ll keep doing experiments in the arena. Later today on a panel we’re going to choose nine cards that will temporarily go into the arena and into the next event. That will be cool. Mike: There’s always some really cool ones. A lot of people recently were just like trying to get it right which is never as fun as when they’re just trying to be crazy. I love it when people just like have crazy ideas. Sometimes you’ll see on the custom Hearthstone Reddit ideas for whole expansions and they will be like “here’s that time travel one” or something like that and that’s always fun to see. Jomaro: It’s pretty much the same for me. You kind of follow it. I can’t think of anything specific but I’d just like to see people be creative and try to make it fun ideas, like the same thing with the same process we go through. So to see them go through it too is pretty cool. You know, sometimes, I can’t think of the exact expansion, but they were really close and almost like spot on. So you know this is fun to see if they can guess the right direction we’re going. 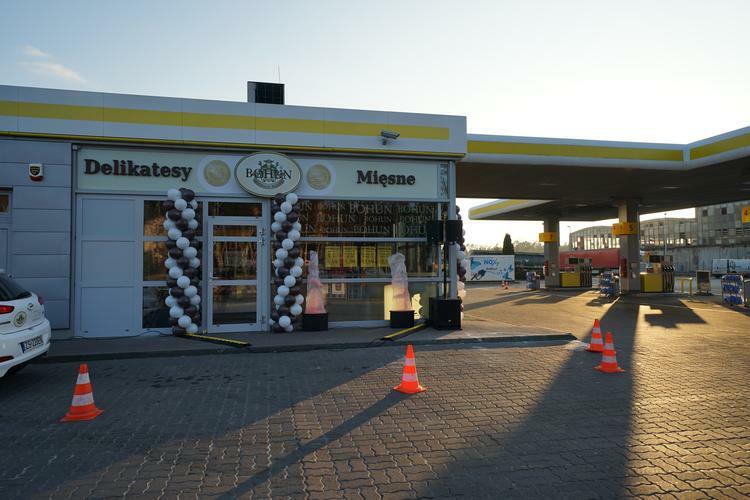 Mike: We do it differently each expansion and maybe we’ll just be doing differently. In new expansion there’s also another new mechanic called upgrade. Can you tell us a bit more about this idea of a upgrading spells. Mike: Right. So there’s nine spellstones, one in each class and each spellstones starts as a lesser spellstone. You can upgrade it to medium spellstone and upgrade it to the full size. And each of them upgrades by doing a specific task. So in the Druid one you have to gain three armor. And that’s a new mechanic which is built around because now you will think about putting armor cards in your deck, like Claw. And even partial progress is remembered by the card, so it will say “gain 3 armor to upgrade this” and then when you hit your hero power, it will say “get two more armor to upgrade this”. You can do it over multiple turns. And I think each of the spellstones has a different build around. I think that’s been really successful for us. At first we only had five of them but we liked them so much that we went up to nine. And I think it’s going to be cool to see how people try to use them and it will be the big part of the game. Jomaro: It’s like a mini quest, almost. I see the evolution of those items. I mean it’s a small thing maybe from playing with toys but I just like that evolution. It’s a feeling of progression. It feels like you’re playing Dungeons and Dragons and you have like an item you don’t really know what it’s like and then you discover the real power of it. Feels great. Jomaro: Yeah that is you own personal narrative, but I enjoyed that. Mike: I love it. I enjoyed that Ben did something fun for the last one and Dave is doing something cool for this one. And I also like that they’re different. They’re not like “oh yeah, it’s always going to be this.” Keep people on their toes. But I think that’s adds a lot to the game and it’s very personal because Dave just wrote that because he wanted to write it. He’s good at it. Jomaro: He’s very good at it, it just sucked me in. It’s really organic. It will vary expansion – to – expansion. But that’s definitely something we want to add even outside of the game. It’s like winking at the player. And I think it’s really resonating well with the people. They love it. They keep talking about. Recently you released Play Hearthstone movie. It gave a new flavor to the game and characters that are specific to the game. Is it what you want to go, like make Hearthstone expand the storytelling behind what’s in Warcraft. Maybe it’s why Hearthstone and Not Heroes of Warcraft anymore. Jomaro: I can’t speak about it in too much detail here because I wasn’t working on that project but I was happy with the final result, I thought it was amazing. It was a charming, it felt rich and warm, so hopefully we delve into some of those characters. Because I want to know more about that Orc. That big guy. He was so awesome. So hopefully we do it now. But I can’t give you a solid direction. I hope. With every class getting a new weapon won’t oozes become broken. Mike: That is a great question [laughs]. For some of the weapons we designed them so that ooze would not be as impactful. 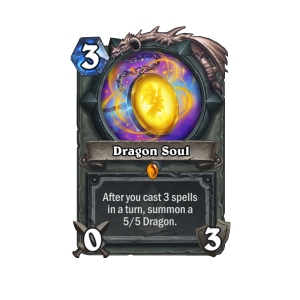 So for example if you play the mage weapon at the end of every turn you draw three cards. But if you just play it, you’re going to get three cards off of it. Even if they kill it – you play six mana and you draw three which is fine. That’s pretty good. And the druid weapon is even more in that space. So there is definitely something we can do to mitigate that with specific designs. As a Principal Game Designer on Blizzard’s Hearthstone team, Mike Donais is responsible for designing and balancing Hearthstone cards. Mike joined Blizzard Entertainment in 2013 after serving as Senior Designer on Marvel Heroes at Gazillion Entertainment. He was also Design Director for the World of Warcraft Trading Card Game at Cryptozoic Entertainment. Mike was a Senior Game Designer for 10 years, and helped design Magic: The Gathering and Dungeons & Dragons, among other projects. As a Senior Concept Artist on Blizzard’s Hearthstone team, Jomaro Kindred works on all visual aspects of the game, from concept to in-game assets, including card backs, game boards, card illustrations, UI, effects, and packs. He also handles early concepting and exploration for upcoming expansions. Jomaro joined Blizzard Entertainment in June 2014, serving as Concept Artist. Outside of Hearthstone, he’s worked on projects for StarCraft II and World of Warcraft. In his free time, he listens to ‘90s hip hop, rides motorcycles, mentors aspiring artists, and attends art workshops. He’s currently working on leveling every class in World of Warcraft—both Horde and Alliance.